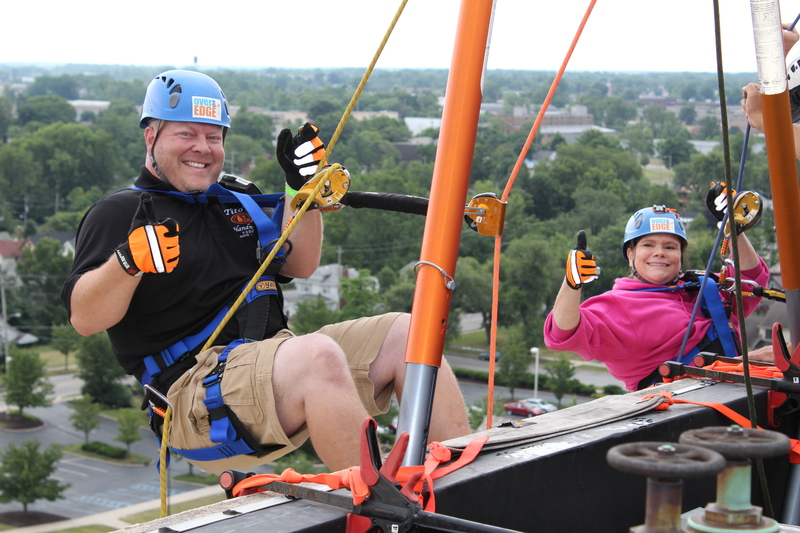 Last Thursday and Friday I had the pleasure of photographing my second Over the Edge event. This time, I traveled to Fort Wayne, Indiana. This event raised money for GiGi’s Playhouse of Fort Wayne. 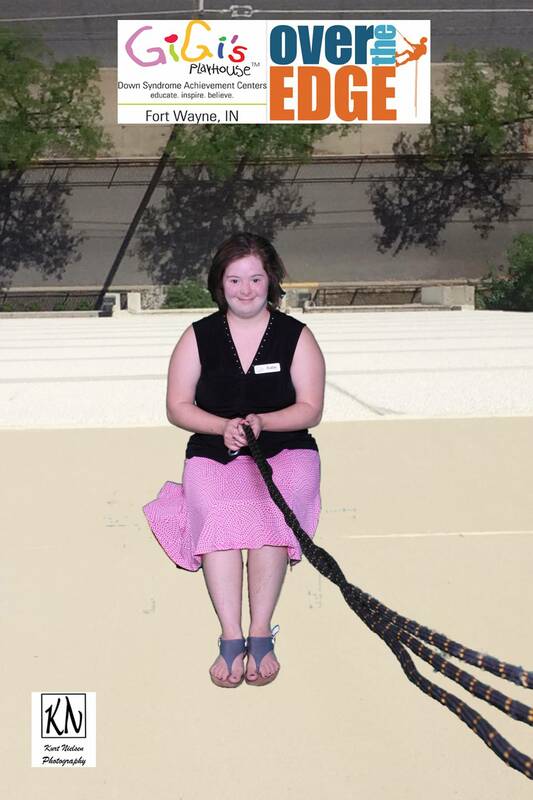 GiGi’s Playhouse Down Syndrome achievement centers provide educational and career training free of charge to those with Down Syndrome. 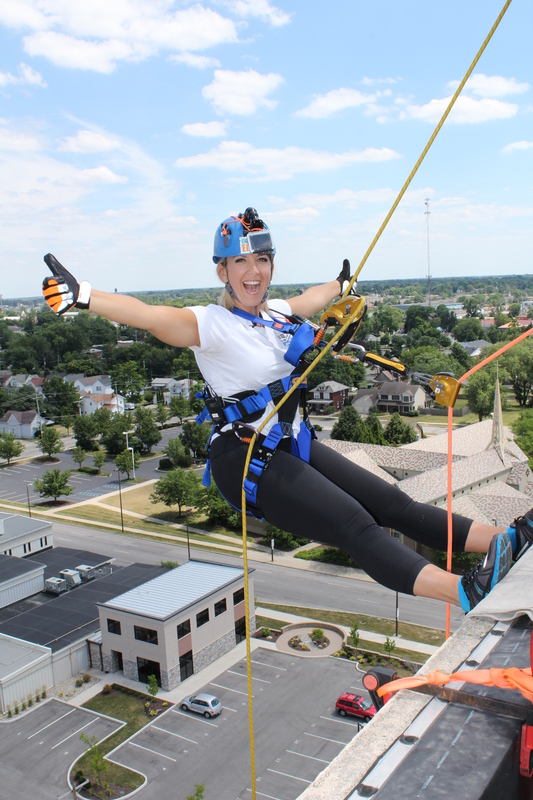 Over the Edge is a unique and exclusive fundraising experience. 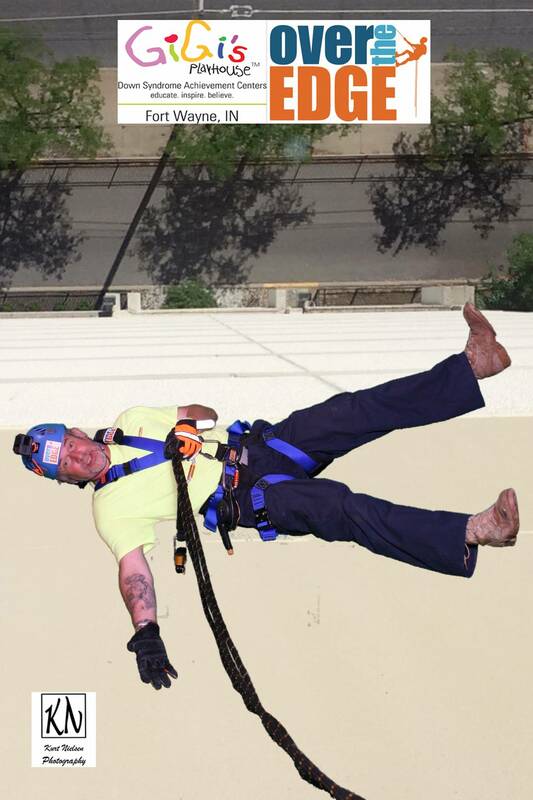 People raise money to rappel down the side of a very tall building. Don’t worry, it’s very safe. 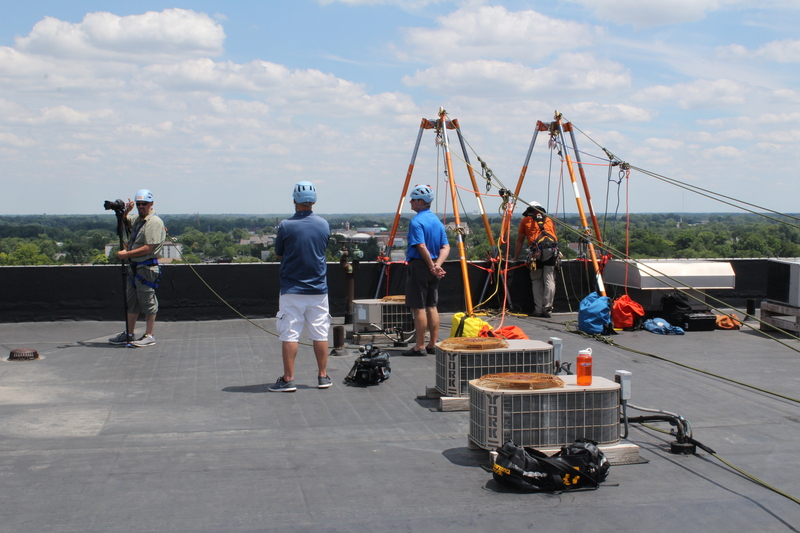 As you can see, everyone is securely harnessed and wearing hard hats. 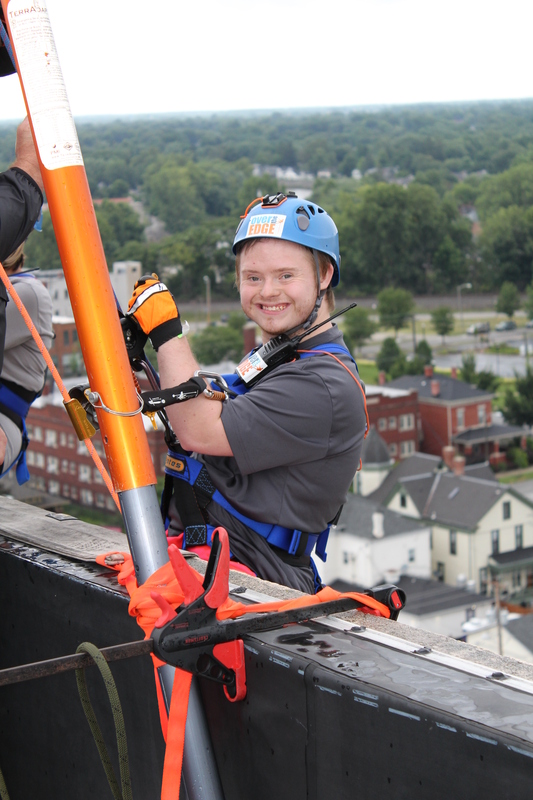 They also have two-way radios to communicate with the Over the Edge staff. 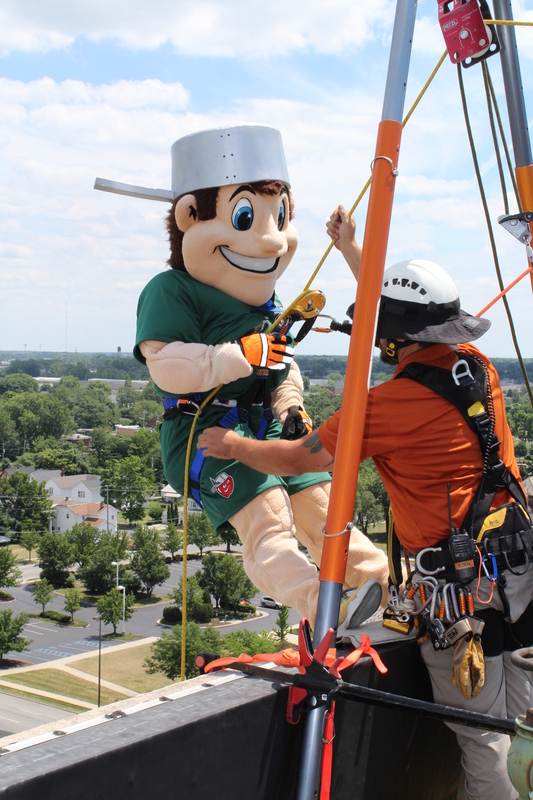 All rappellers were provided training before going over the edge. 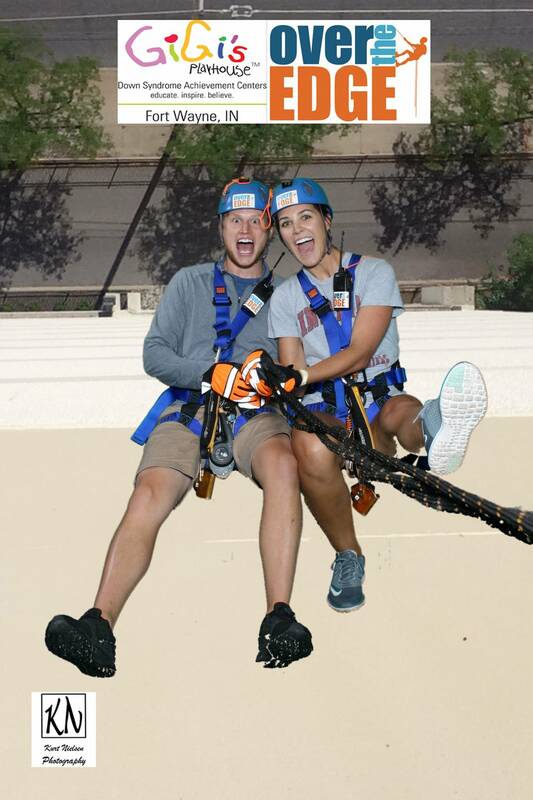 Everyone who participated said the scariest part was actually climbing over the wall. 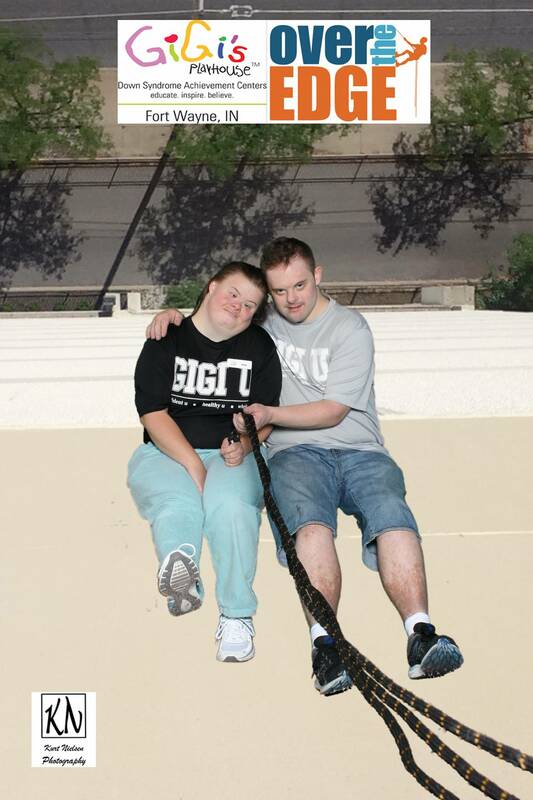 They had to climb over before they could rappel down. 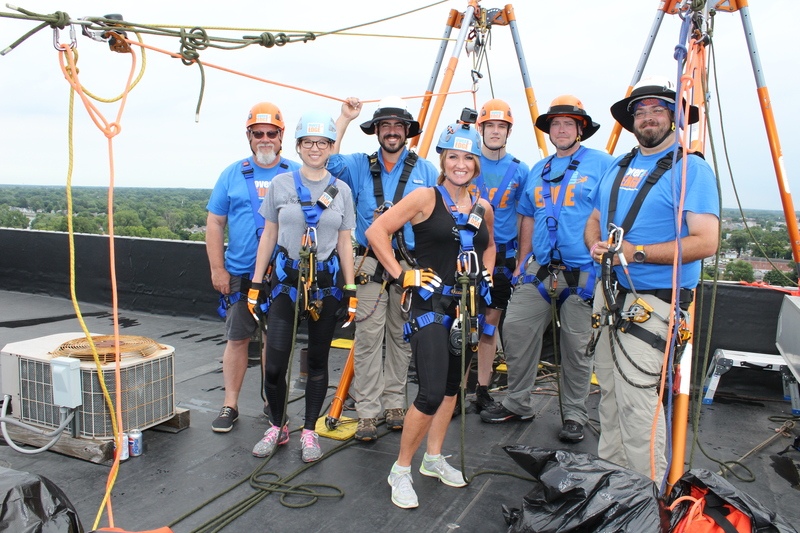 The crew from Over the Edge made everyone feel at ease. Well, everyone except for one lady. But you will have to check out my events page to see if you can find her! Nancy Gianni, the founder and Chief Believe Officer at GiGi’s Playhouse even participated. 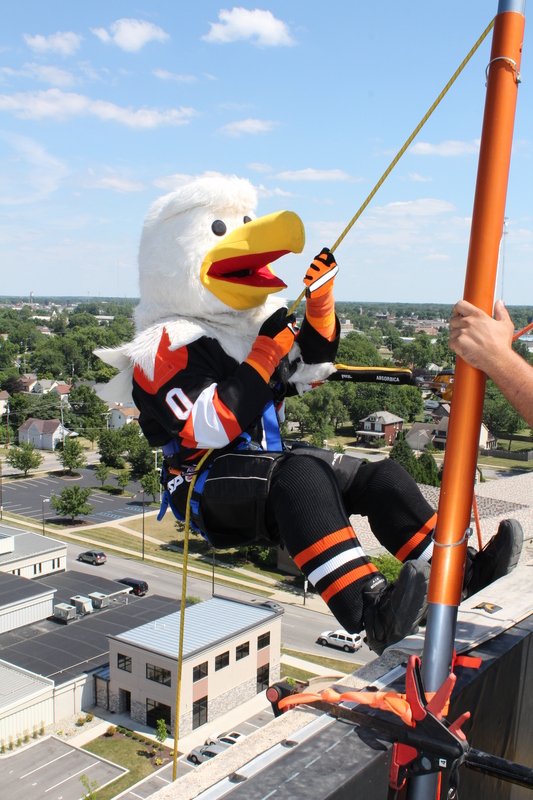 Also going over the edge were Icy D Eagle from the Fort Wayne Komets hockey team and Johnny TinCap from their local baseball team. 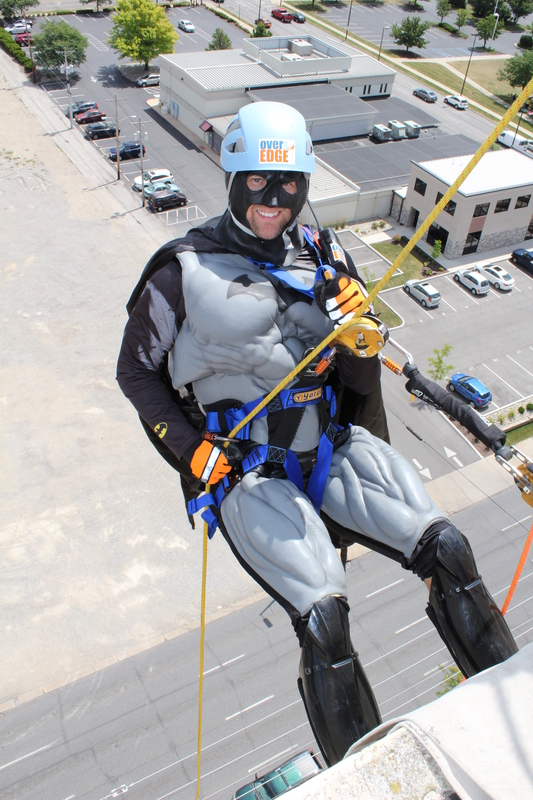 Batman and Alyssa Ivanson from the local CBS affiliate station WANE had a great time rappelling. So did so many others. 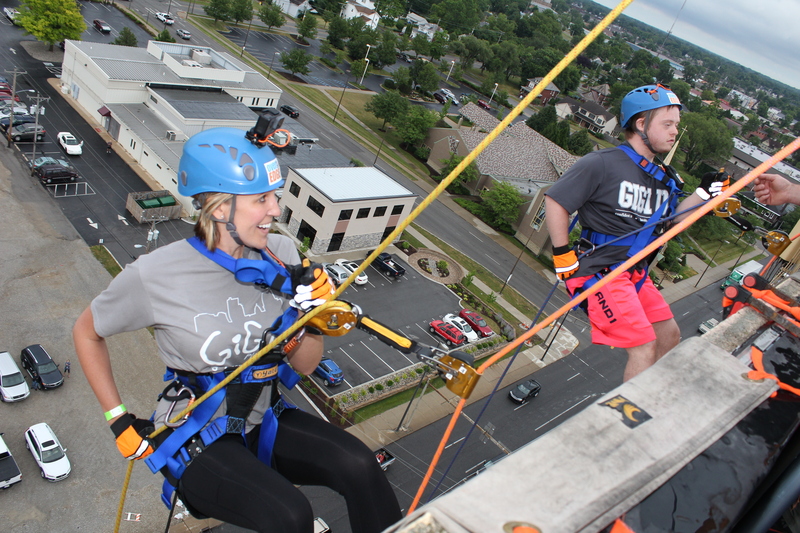 Board members, volunteers, the CEO and even a couple clients of GiGi’s Playhouse went Over the Edge to help raise money. Meanwhile, down in the lobby, my crew had our green screen photo booth set up for fun photo booth photos that anyone could do. 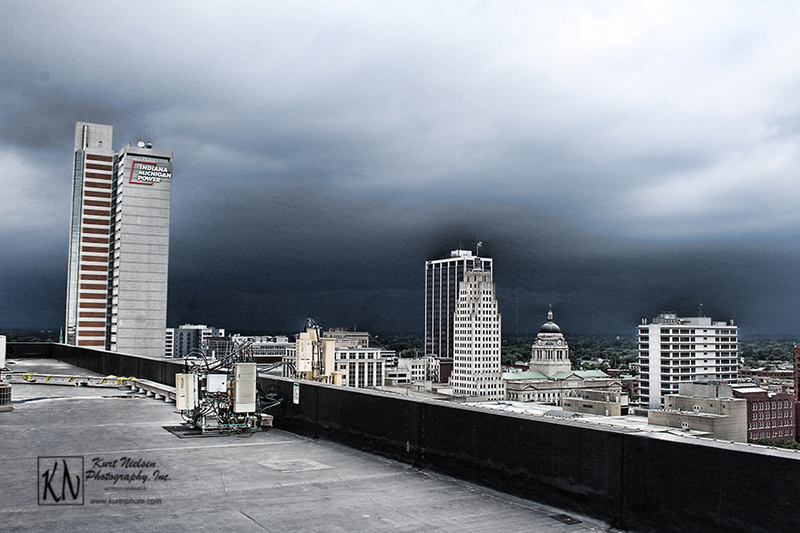 The background was taken from the roof of the Lamplight Inn of Fort Wayne by a staff member at GiGi’s Playhouse. Using this as a background makes the photo booth images more fun and everyone the opportunity to be a part of the event. We had a fun time, but had to dodge the weather all day. We stated with a delay. Then we had another delay around lunch time. 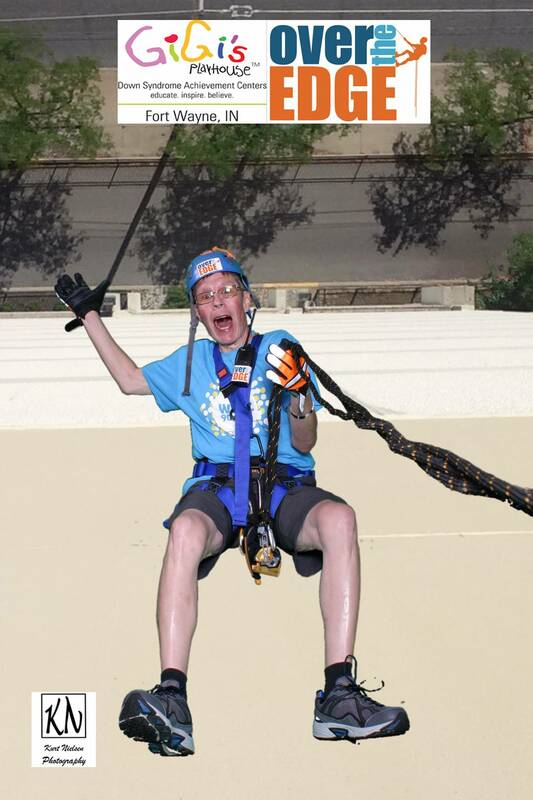 However, the staff of GiGi’s Playhouse did an amazing job and called the rappellers to have them come in ahead of their scheduled time. 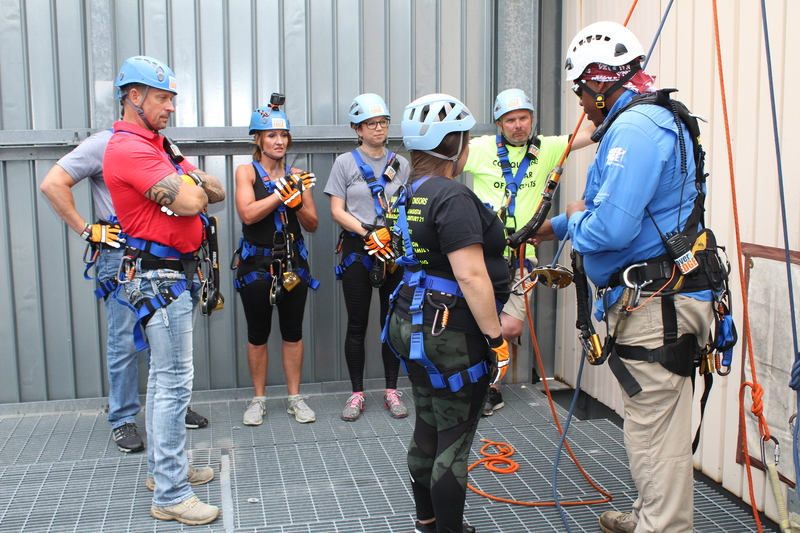 The staff of Over the Edge were awesome and managed to get almost everyone able to rappel before the skies turned dark! We got off the building just in time! 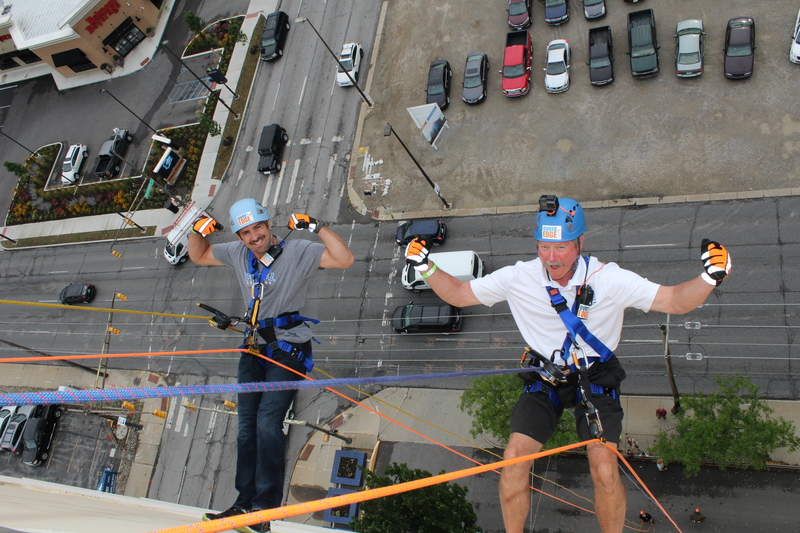 This was the second Over the Edge Event that I have photographed. 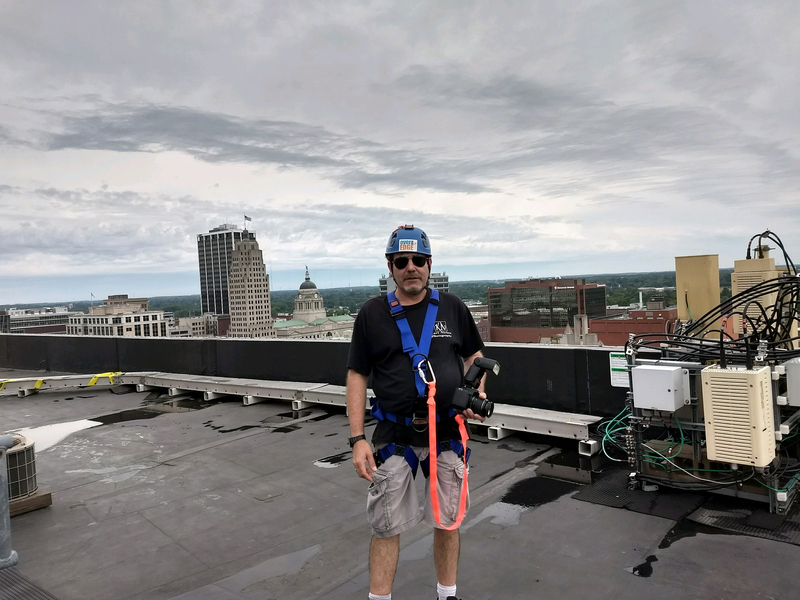 One day they might even talk me into rappelling! Thanks to GiGi’s Playhouse for having us! For more information about Kurt’s Kustom Keepsakes green screen photo booths, my Walk-About Social Booths, or my Infinite Photo and Video Booth, including pricing, please visit my website at www.kurtnphoto.com. All Social and Photo Booth photos and GIFs can be viewed and downloaded from my website! This entry was posted in Event Photography, Kurt's Causes, News, photo booth and tagged Charity Events, event photography, GiGi's Playhouse, green screen, Over the Edge, Photo Booth, toledo event photographer, toledo photo booth, toledo photography. Bookmark the permalink.